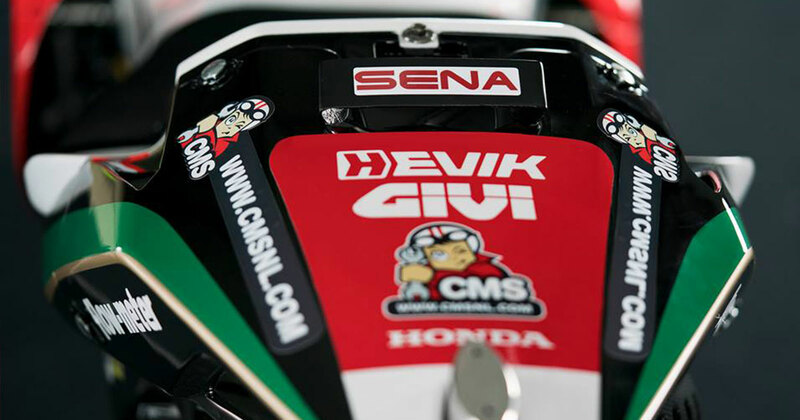 The well-established collaboration between Hevik and LCR HONDA TEAM has been confirmed again this year with sponsorship for the MOTOGP 2019 Championship. The team, led by Lucio Cecchinello, unveiled the new MotoGP 2019 clothing in the pit-lane at Losail to launch a new season full of ambitious targets and hopefully great results. Cal Crutchlow, still getting over the injury to his ankle, is heading for the top. For him this will be the fifth year riding a Honda; last season he was just one step away from establishing himself as the best private rider until the accident in Phillip Island meant he had to pull out of the championship early after suffering multiple fractures to his right ankle, also forcing him to undergo two operations. After spending the winter in California, to speed up rehab times and be at his best for the winter tests, now he’s ready to make a great comeback! Also 27 year old Takaaki Nakagami, with his debut in the premiere class in 2018, has once again won the trust of HRC and extended his partnership with the team. A collaboration that was strongly desired by the Tokyo firm, eager to place a growing Japanese driver on the grid. Hevik is proud to be able to support this outstanding team and its two talented riders again this year. Good luck guys!